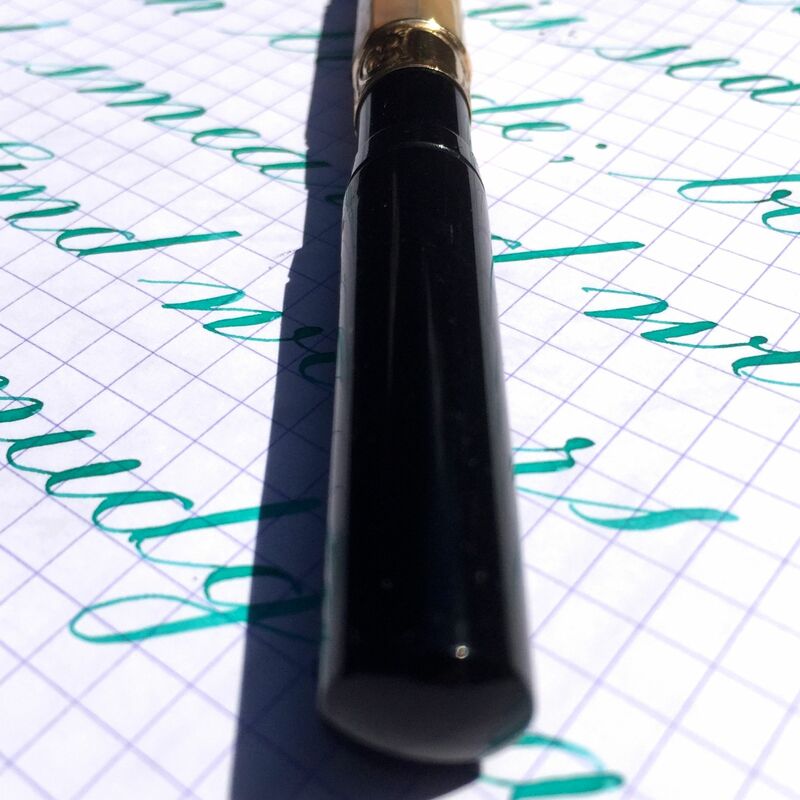 Here a nice, quality unbranded vintage hard rubber eyedropper pen. 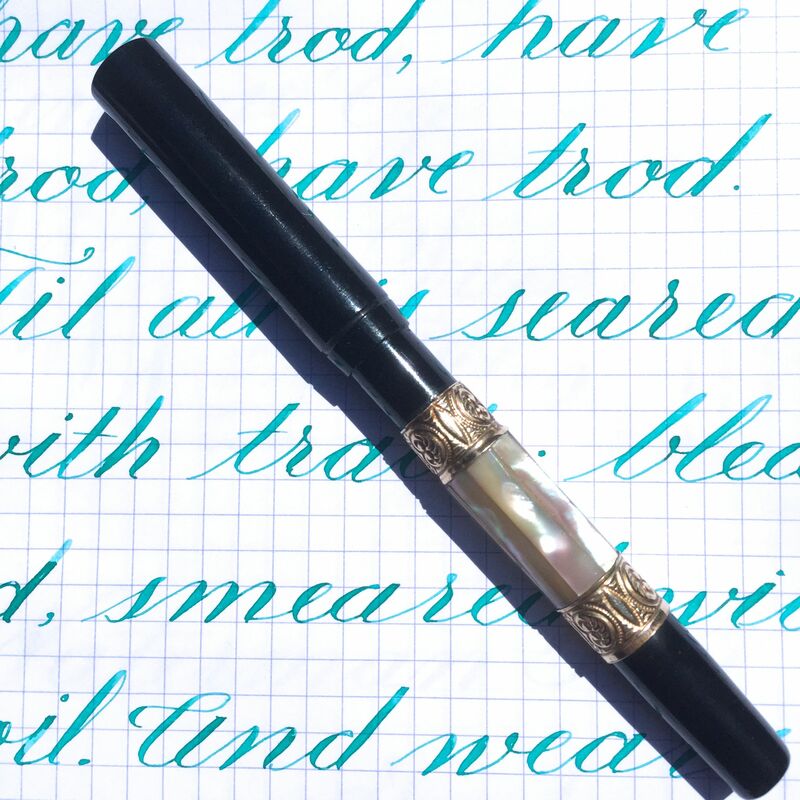 The pen is ornamented with faceted mother of pearl around the center of the barrel with gold filled repousse bands on each end. The hard rubber is still very black and shiny. 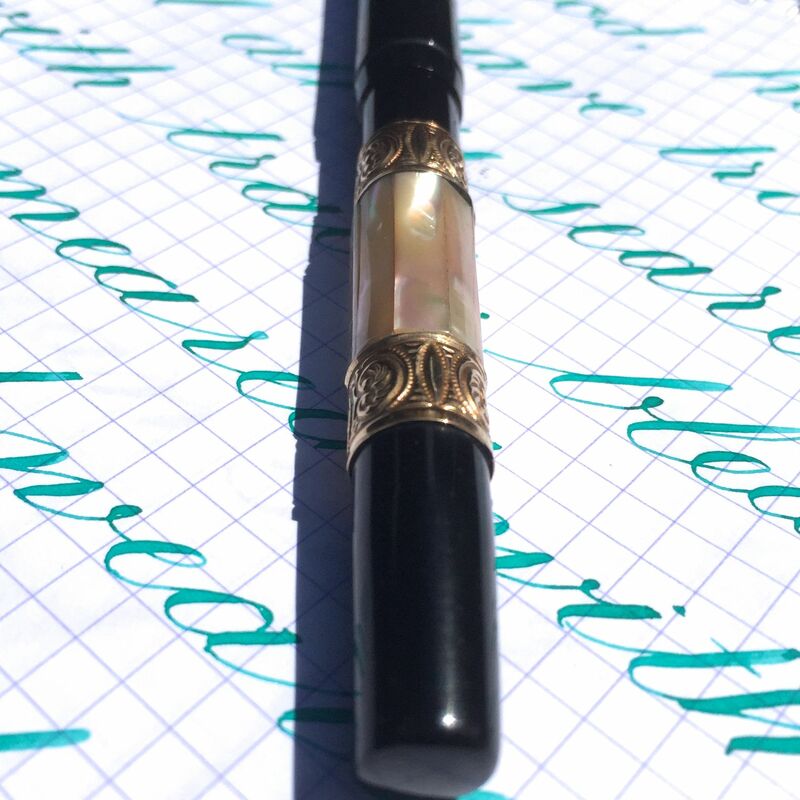 The mother of pearl still looks very nice with just a little bit of scuffing here and there. There is a little plate loss on the bands, but nothing major. 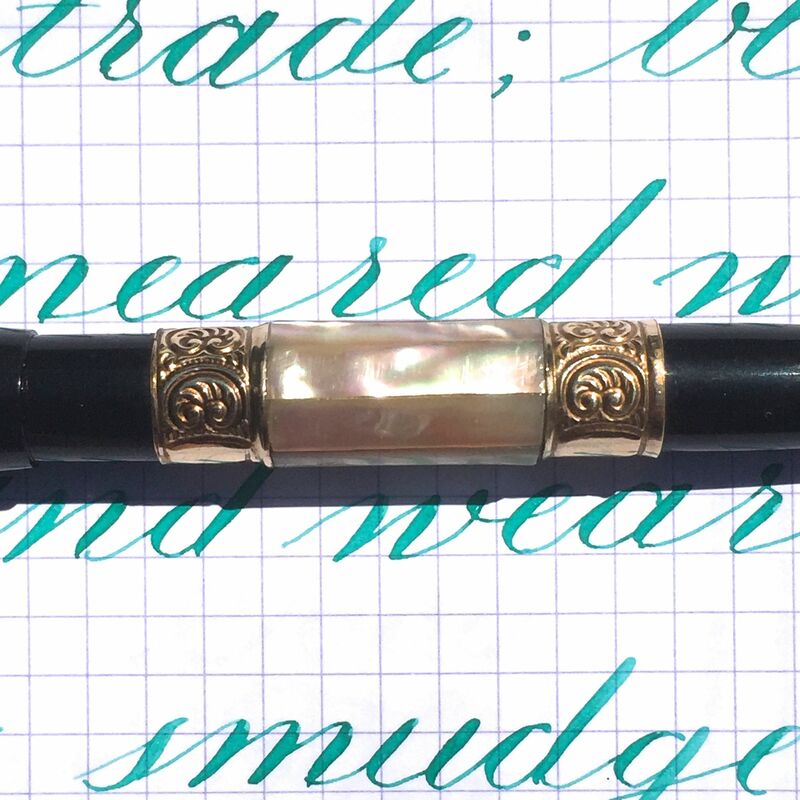 This pen is fitted with a 14kt. 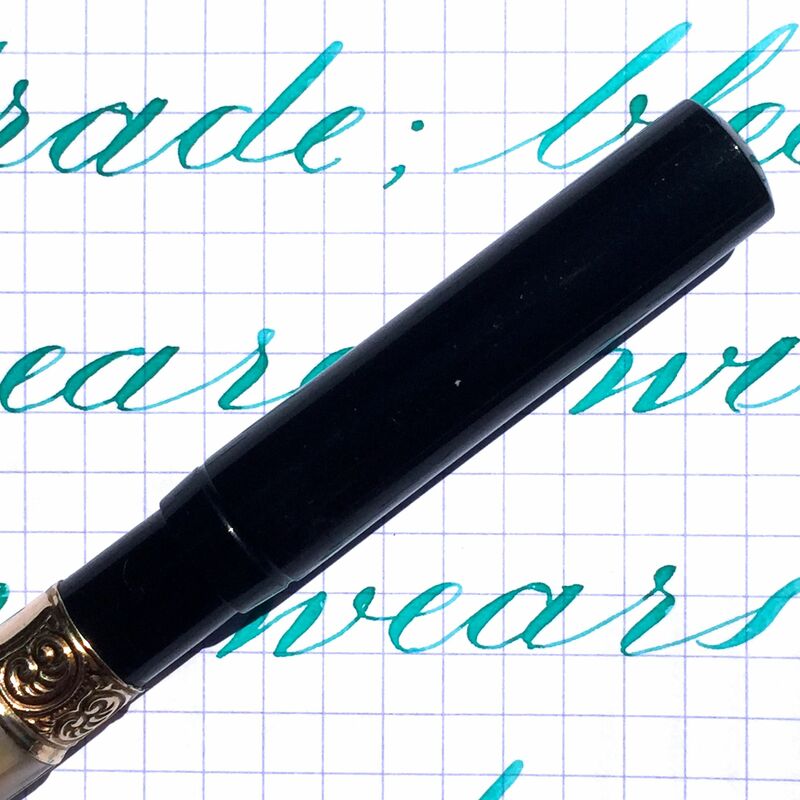 Mabie Todd Swan nib that is a very elegant writing XF (0.3mm) that is beautifully smooth, springy, and with good flow. 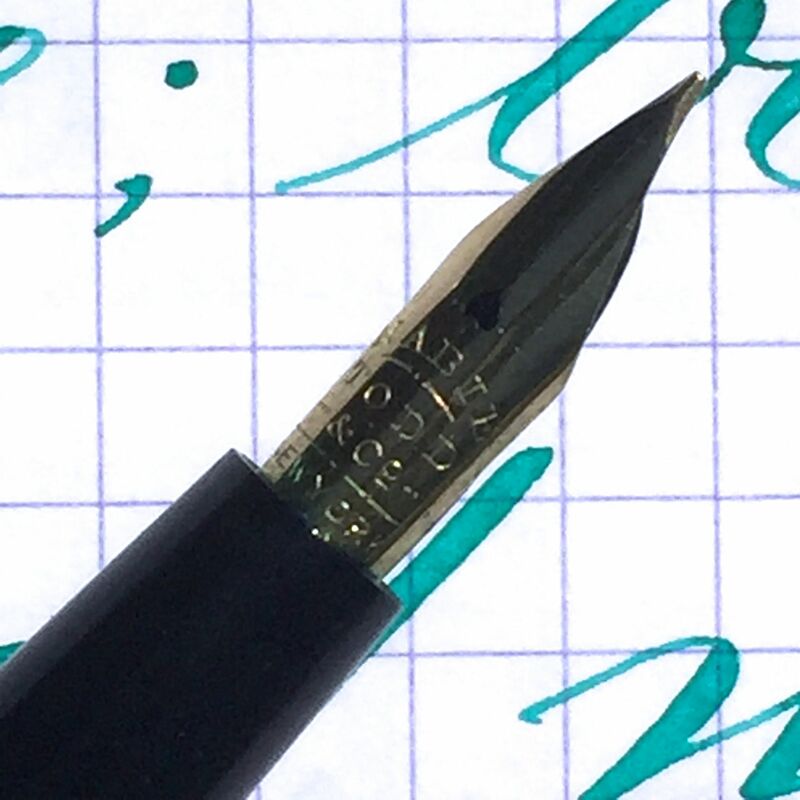 The nib has some nice flex and some even nicer responsiveness. 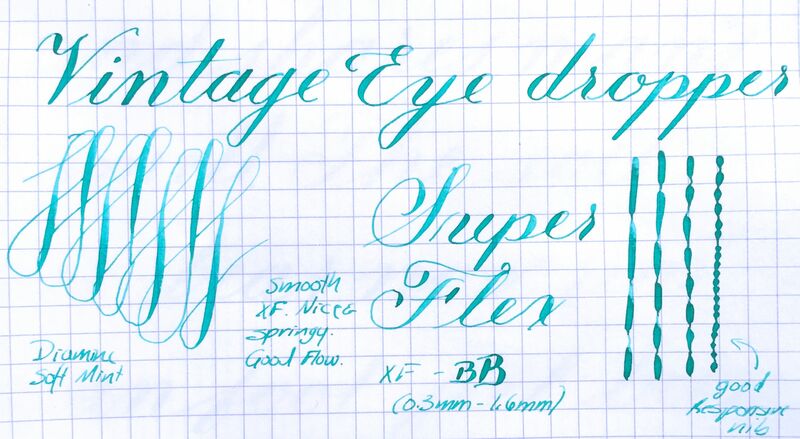 This eyedropper feels really solid and the nib is a beautiful elegant writer.